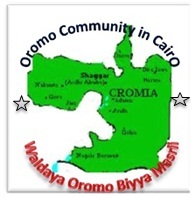 (A4O, June 7, 2013) Many Oromo refugees in Cairo were beaten, denied police services, and subsequently charged extra for medical care on the evening of Thursday 6th June 2013 in retaliation for Ethiopia’s diversion of the Nile River, according to locals. Thursday’s attack in Cairo on an unnamed Oromo national, the second incident in the last week, underscores the grave threat facing Ethiopian refugees living in Egypt. Many of these refugees left Ethiopia fleeing repression and fear persecution if they return home. Several hundred UNHCR-recognized Oromo and other refugees of Ethiopian origin reside in Egypt, according to community estimates. Activists report the situation remains tense and have urged all persons of Ethiopian and Oromo origin to stay in their houses until the situation stabilizes, if ever. Following Thursday’s incident, Egyptian police refused to take down the report of what transpired saying that the attack was deserved. “The policeman who was writing the report aimed [a gun] at me…saying that we deserved to be killed,” said Gumi in an email recounting his traumatic experience. Their troubles did not end there. Even after paying double the amount of normal fees for seeing a doctor, according to Gumi’s report, other patients in waiting room told them, “you deserve[d] it,” after learning their nationality. The Oromo Community in Cairo is holding a peaceful demonstration in front of UNHCR and is asking all concerned individuals to reach out to Egyptian authorities on their behalf.